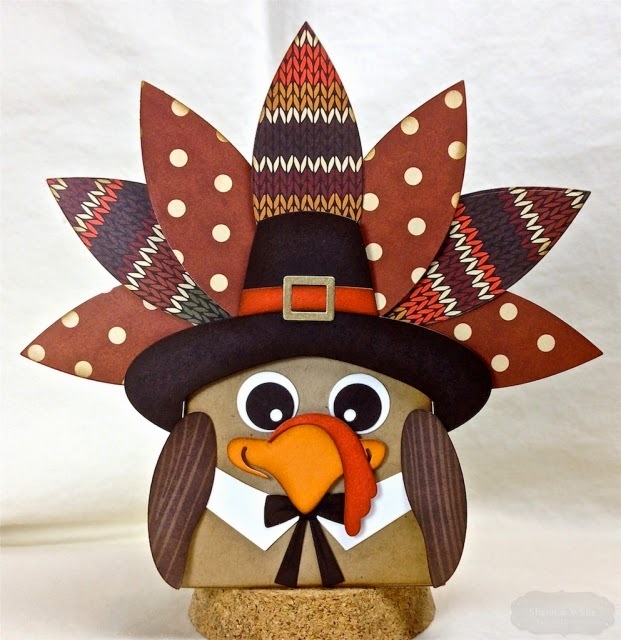 Taylored Expressions Pinterest Inspiration: Sack It Turkey! Hello! I made this darling little Sack It-Turkey bag for my daughter's gym buddy at gymnastics. Her buddy competed in a meet called Turkey Trot this past weekend, so I thought this would be the perfect thing to hold a few treats! 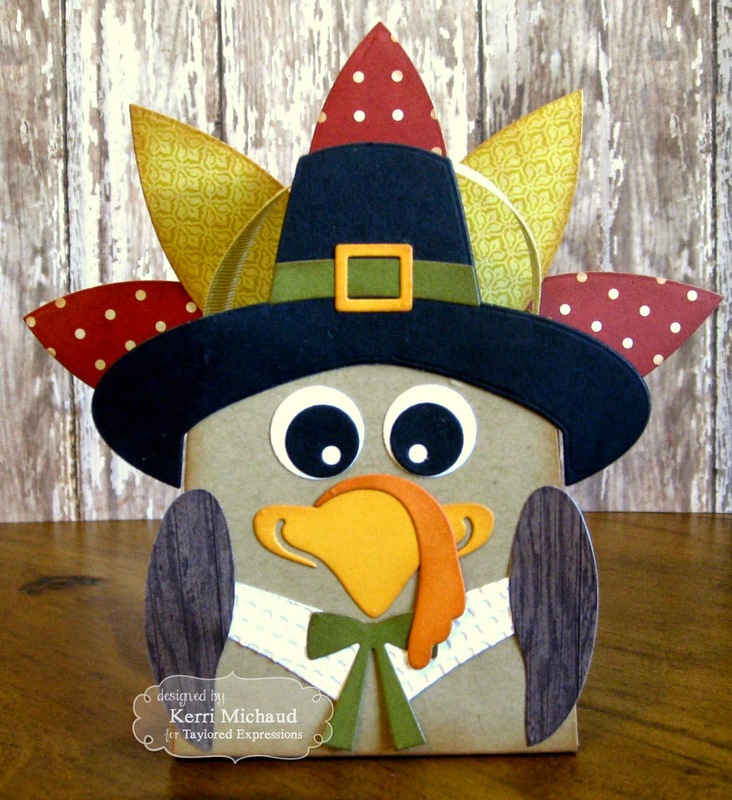 I LOVE how she used dp for the wings and tail feathers so I did the same thing using Carta Bella A Perfect Autumn dp. I added some texture to the collar using the TE Burlap Embossing Folder and I also added a ribbon handle. 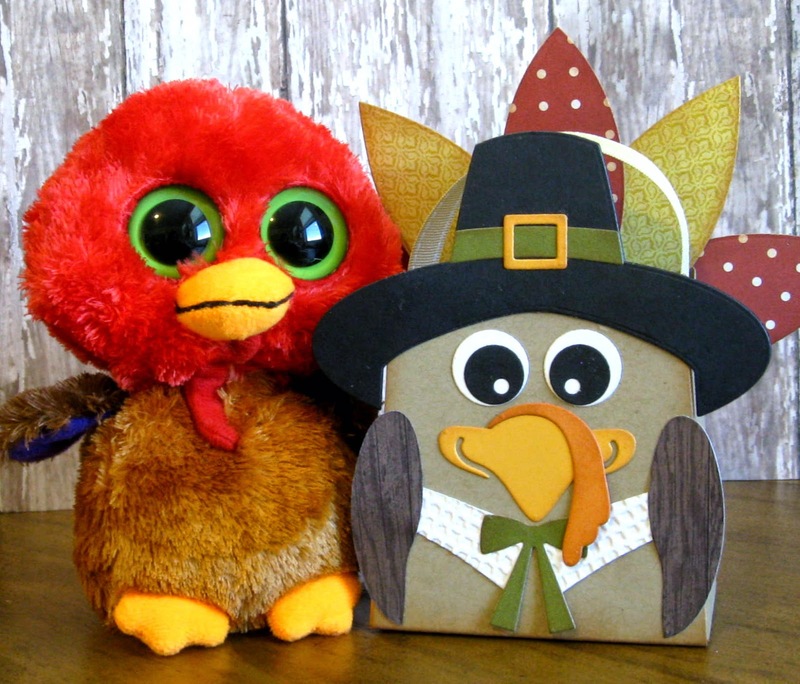 We also found this super cute Ty Beanie Boo Turkey:) Her buddy loved everything! That's it for me today:) Thanks for stopping by and enjoy your day!